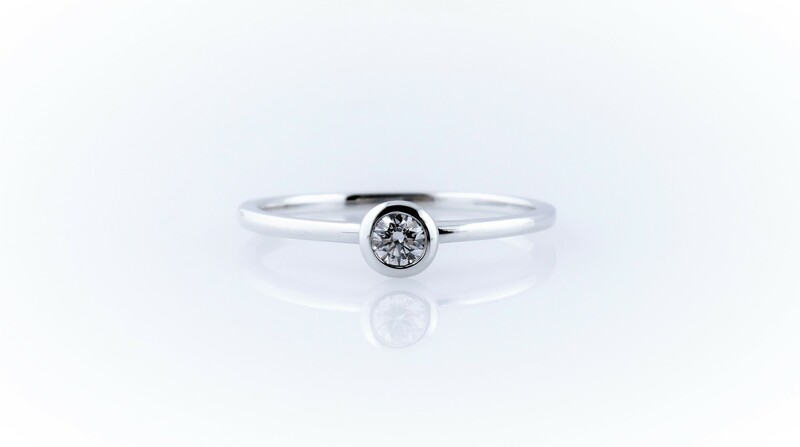 Very cute 14kt white gold bezel set ring with 1 round brilliant cut diamond, .12 carat, color F, clarity VS. Size 6. Available in 14kt yellow gold and rose gold. Please contact us to order.